Before discussing NYC public spaces maps , first a few words to say on the NYC Transit system maps . 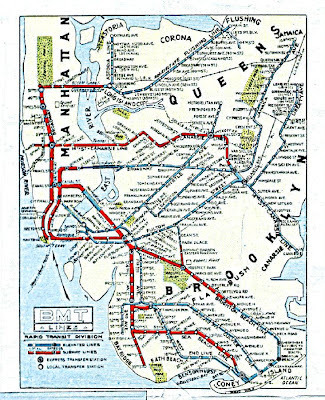 From the beginning of the 20th century until 1940 New York City had three subway systems. 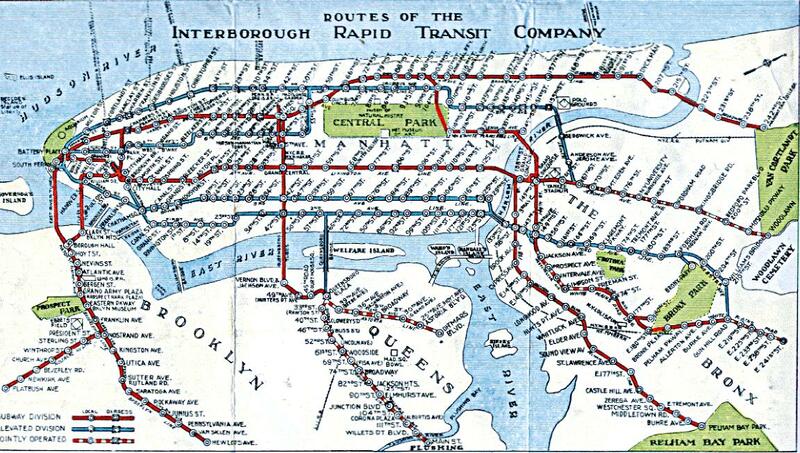 These were Brooklyn Manhattan Transit, Interborough Rapid Transit and the Independent line. 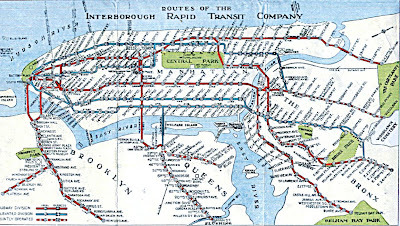 With the exception of jointly operated lines these maps listed only those transit assets of each respective company. 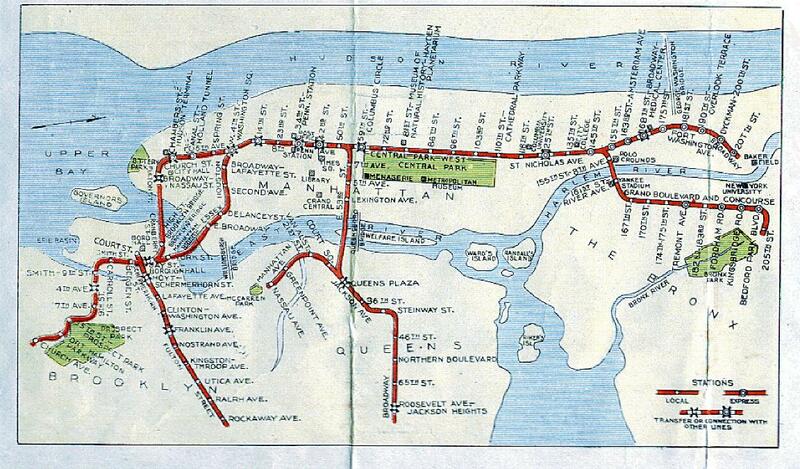 to find the closest station to where you were going, you needed to consult 3 maps. 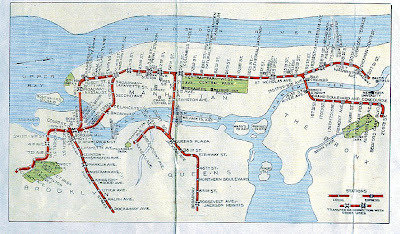 In June 1940, the transportation assets of the former BMT and IRT systems were taken over by the City of New York for operation by the City's Board of Transportation, which already operated the IND system. Free transfer points were initiated in 1948. At the beginning of the 21st Century. NYC had 3 major agencies in charge of publicly accessible open space development. NYC Department of Transportation's Public Plaza , bus shelters and Citybench programs. 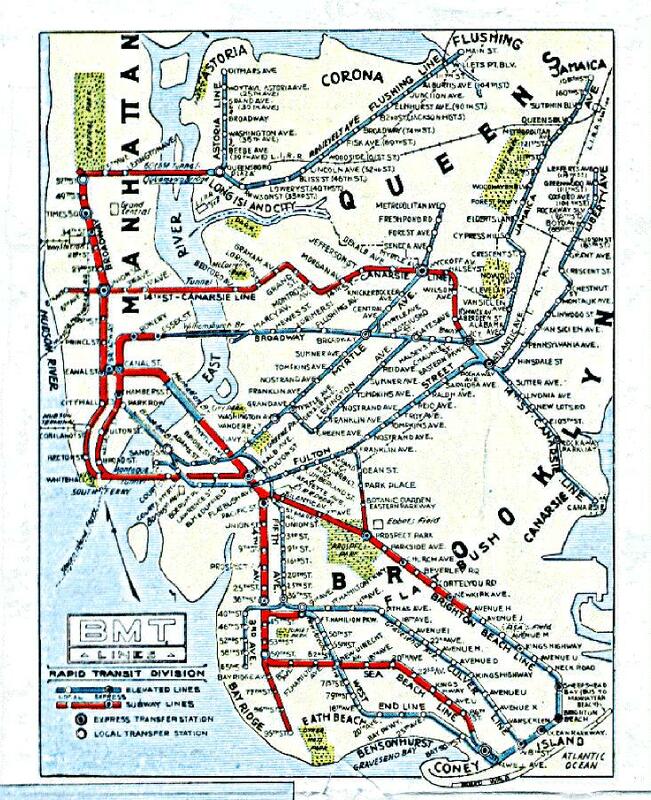 Like the subway systems of the early 20th each of these public spaces systems are independently run and each has a different map* not listing the spaces of the other systems. 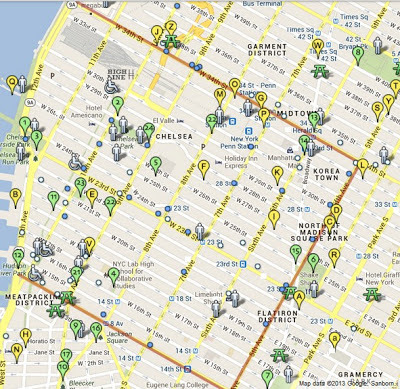 Parks311.com has created the first Unified Public spaces maps for the Chelsea and Hell's Kitchen neighborhoods of Manhattan. 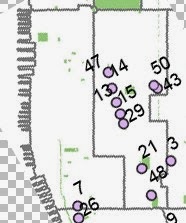 These map consist of all open spaces (with seating ) in and around Chelsea/Hell's Kitchen that are operated by NYC parks, created under the DCP POPS program, or built by the NYC DOT Under it's plazas, Citybench and bus shelters programs. additionally the map also lists, community gardens, federal open spaces (such as General Post Office steps), and other private spaces that are accessible to the public. And for good measure restroom locations are included. 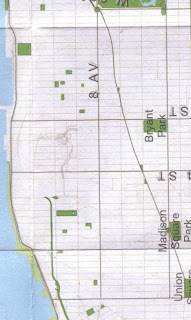 "The Park Chelsea and Park Hell's Kitchen map are "Retailers" map , they lists open spaces and seating from all "manufacturers" (NYC Parks Dept, Department of Transportation, City Planning, etc)" according to Arnold Bob who designed these maps. 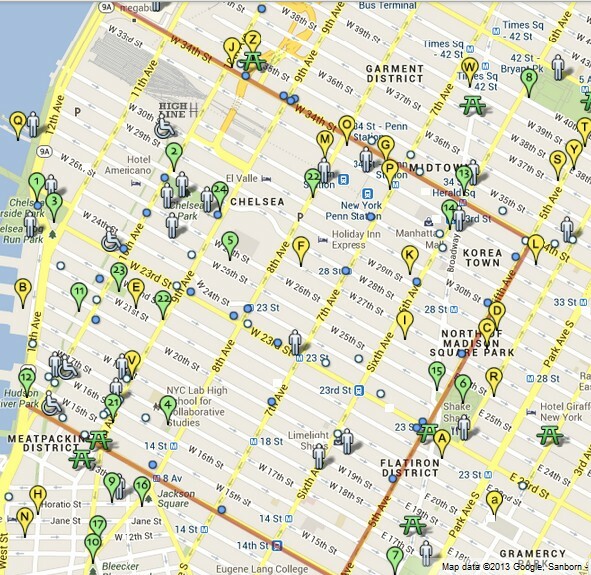 "Currently we have released maps for Chelsea, Hell's Kitchen and Midtown South. 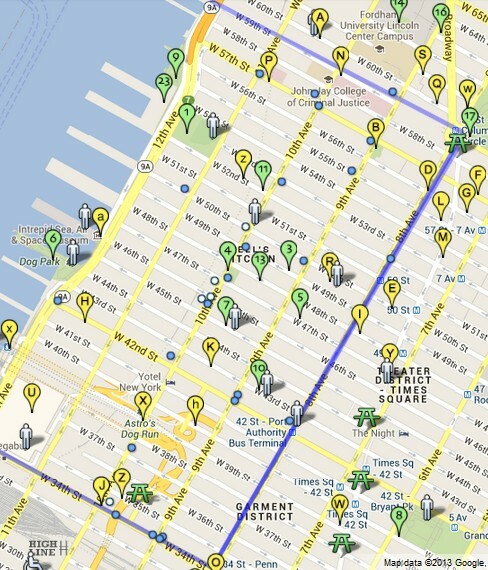 We're also working on maps for the Upper East Side, Upper West Side, West Village, Kips Bay/Murray Hill and East Harlem."